Ideas are now manufactured where appliances were once built in Hamilton’s west end. Park is located on the 37-acre former Camco site, just a few kilometres from the university’s campus. MIP is a crucial part of the city’s innovation ecosystem that incubates startups, brings together budding entrepreneurs with experienced mentors and nurtures the journey from idea to commercial reality. In addition to The Atrium, a 186,000-square-foot, five-storey office and conference facility (once Camco’s head office) that is the commercializa- tion hub of the park and home to more than 40 tenants, MIP features CanmetMATERIALS (CMAT), Canada’s largest research centre specializing in metals and materials fabrication, processing and evaluation, on the site where assembly lines once stood. Just down the road, in Camco’s former warehouse, the McMaster Automotive Resource Centre (MARC) brings together university researchers, students and industry professionals working on battery and hybrid drive-train technologies. The vision at MIP is for 10 buildings, 3,000 occupants and more than 1.7 million square feet of office and research space in the next 10 years. Data centres once had to be huge buildings full of racks and wiring with powerful air conditioning, fire and electrical systems managed by IT and tradespeople. Cinnos Mission Critical Inc.’s Rapid Deployment Data Centre provides an out-of-the-box alternative. “Essentially, we deliver the key attributes of a traditional data centre as an appliance. This dramatically reduces costs for companies, makes them highly responsive to customer demand and helps them deploy capital wisely,” said Don Magie, vice-president of global sales and marketing. Company founder Hussam Haroun forged strong partnerships with McMaster University, the Computing Infrastructure Research Centre, McMaster Innovation Park and the Angel One Investor Network. All the machines are being built locally to keep knowledge local and take advantage of the city’s strong manufacturing base, says Magie. Weever Apps, which automates and digitizes data collection to boost productivity, is a poster child for Hamilton’s burgeoning innovation community. It was nurtured by Innovation Factory, incubated at MIP and named the inaugural winner of Lion’s Lair, the city’s entrepreneurial competition. It’s grown from two founders in 2011 to a company of 20.
biggest movie studios in the world, including Industrial Light and Magic, DreamWorks and Pixar. 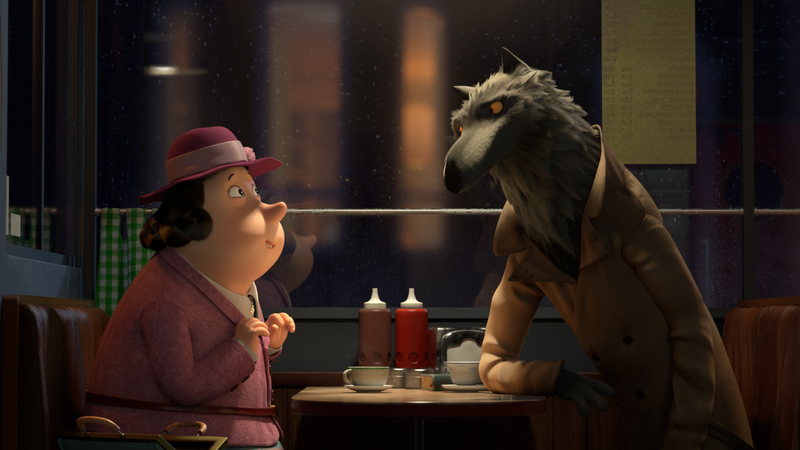 Its Yeti software to create realistic and detailed fur, hair and feathers in both live action and animation and Bokeh, used for out-of-focus effects, has earned Peregrine Labs a reputation for innova- tion, cemented by an Academy Award for its technical contributions in deep compositing in 2014. Mariner Endosurgery Mariner Endosurgery’s computer-assisted platform LaparoGuard provides augmented visualization for surgeons undertaking laparoscopic gynecological and urological surgeries. The company was co-founded by obstetrician/gynecologist David Langloif in 2016. “Laparoscopic surgery is a very difficult skill to master. 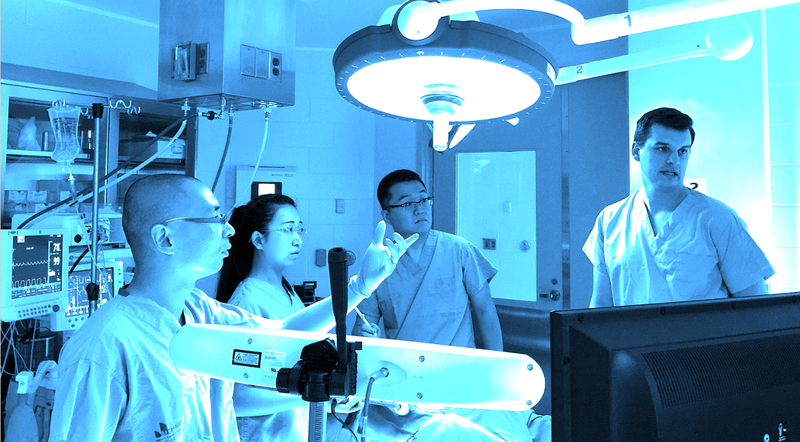 It’s a struggle for many surgeons because you need to be ambidextrous and you are handling sharp, electrically charged instruments,” said Mitch Wilson, president and chief operating officer. So he developed a tracking system using cameras and trackers embedded in the instruments. Robots calibrate the exact position of the tools and provide crucial information to the surgeon on a screen. The platform also establishes a predetermined safety zone that prevents the doctor from inadvertently going outside the field of surgery. It’s kind of like the classic board game Operation come alive. After creating his prototype, Langloif moved into The Forgein January 2016, the McMaster incubator at MIP. Mariner secured its first significant round of venture capital in January 2017. Wilson says Hamilton’s innovation network is creating a critical mass of talent and capital. Initially developed so that interior designers didn’t have to lug around giant binders, the made-in-Hamilton Nix now provides colour measurement to the cosmetic, paint, printing, food and agriculture and industry quality control sectors. The Nix Pro Color Sensor grabs an accurate colour measurement from any surface and sends it to a companion app that displays the digital values. There are more than 12,000 colours loaded in the app from popular paint brands like Benjamin Moore, Sherwin Williams, and Dulux. 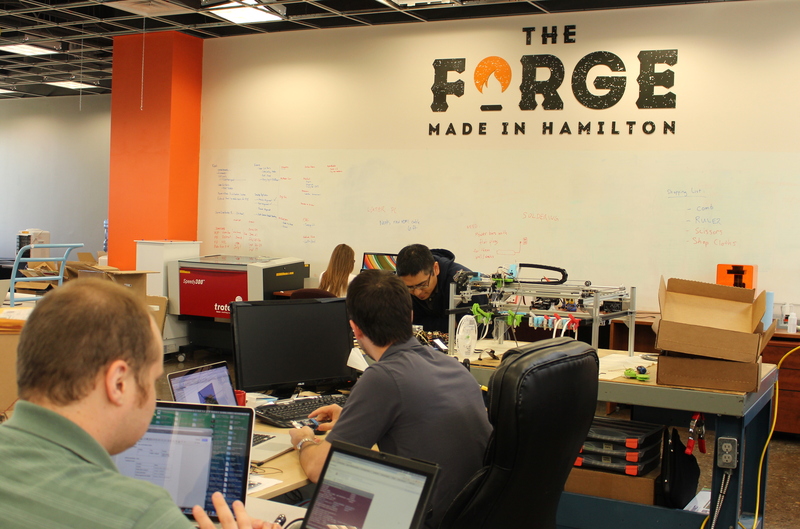 The Forge is a startup incubator and entrepreneurship hub for McMaster University. It hosts a yearly pitch competition that funnels more than $105,000 in seed funding and services and offers the most promising startups access to mentors, and free office space in a co-working environment at McMaster Innovation Park. There are 44 companies working inside The Forge. A number focused on healthcare include: 20/20 OptimEyes (developing new ways to delivery drugs to treat ocular conditions); Epineuron Technologies (developing devices to maximize the recovery for patients with nerve damage); HINT (a wearable monitoring device that alerts when a patient is having a stroke while sleeping); and KiDi SMS (uses games to encourage kids to take blood sugar readings). Those working in other sectors include: Bruha(a local entertainment discovery and ticketing platform); Hangry(an app to allow students to skip lines for campus food); Korechi Innovations (creator of robot to paint lines and logos on sports fields, courts, parking lots and roads); and Peasy, which finds you a parking space and takes you to it. The Forge is a partnership between McMaster University, Innovation Factoryand Mohawk College. 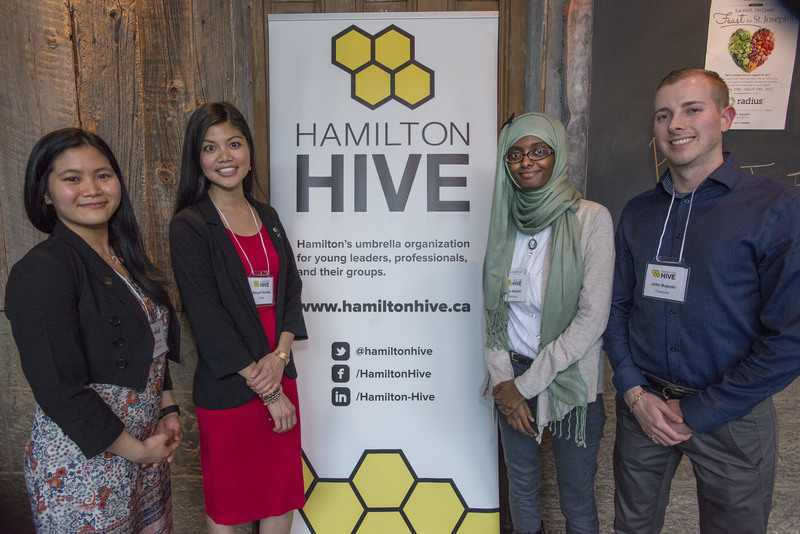 Hamilton Hive brings together professionals and entrepreneurs aged 18 to 39 and their organizations into one networking and advocacy group. It was founded in 2011 and funded by the Hamilton Chamber of Commerce to catalyze the growing number of 20- and 30-somethings – both city natives and newcomers – getting engaged in civic and business life in Hamilton. HIVE hosts social events and workshops throughout the year plus an annual HIVEX conference of speakers, professional development seminars and networking. There are 21 member organizations from a broad spectrum of sectors, including: the City of Hamilton, the city’s healthcare facilities, the United Way of Burlington & Greater Hamilton, McMaster University and Mohawk College, the city’s architecture firms, homebuilders, media organizations, freelancers, and the Hamilton Chamber of Commerce.